Some new stuff has arrived lately, and I decided to break it all in at the same time. 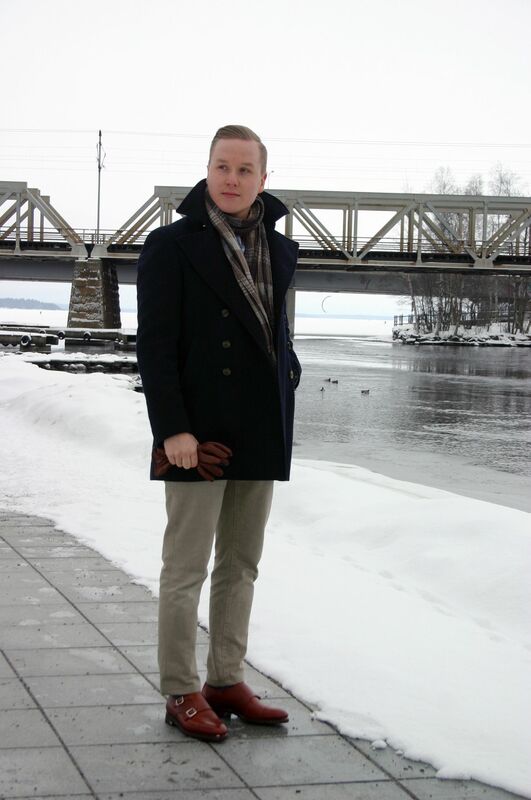 Both my Armida A2 500 and the new Meermin Scotch grain double monks got a taste of a rather humid and warm winter day here in Finland. The items include a L.B.M. 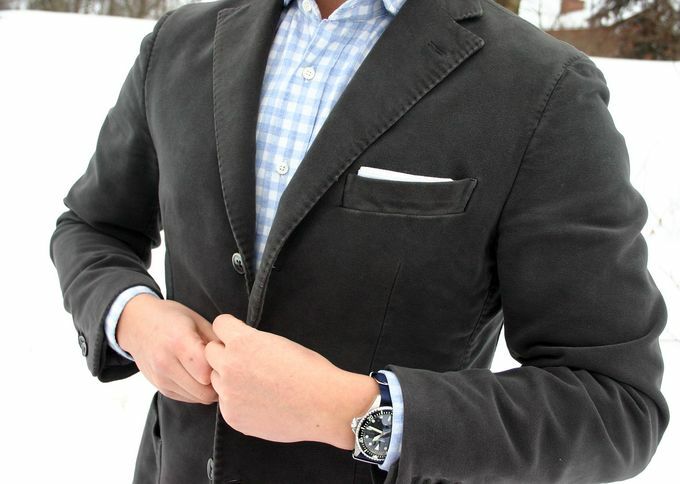 1911 green unstructured moleskin jacket, SuitSupply white blue gingham check flannel shirt with a spread collar, Equus Leather Oak Brown bridle leather belt, Incotex Red chinos, Berg & Berg blue wool socks, Meermin double monks and the Armida A2. A rare occasion, being without a tie (even an informal one), but on this day I just felt like it. 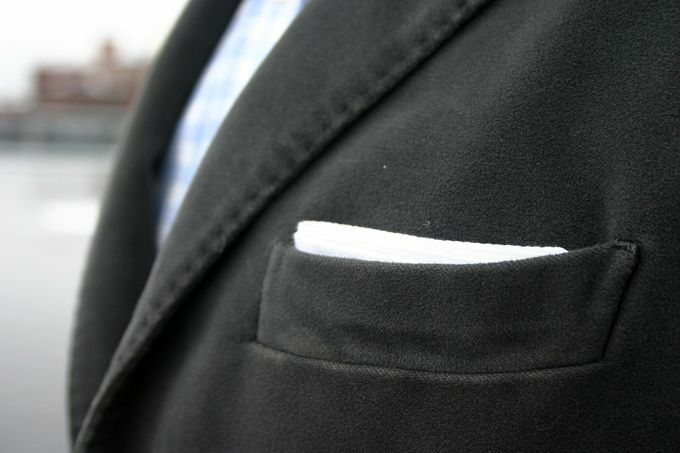 A simple white cotton pocket square, folded without too much thought. A classic and my personal favorite. A navy strap was my choice this time. 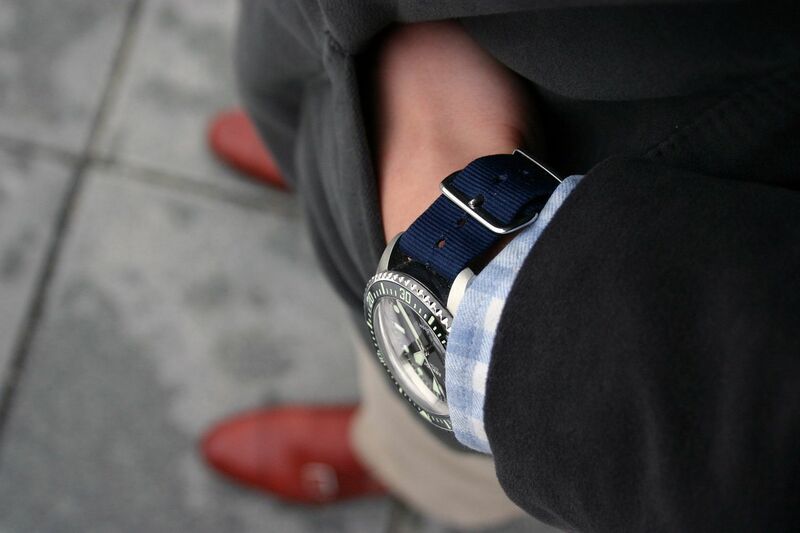 Loving the watch in general, and it looks simply fantastic on a NATO or leather NATO. 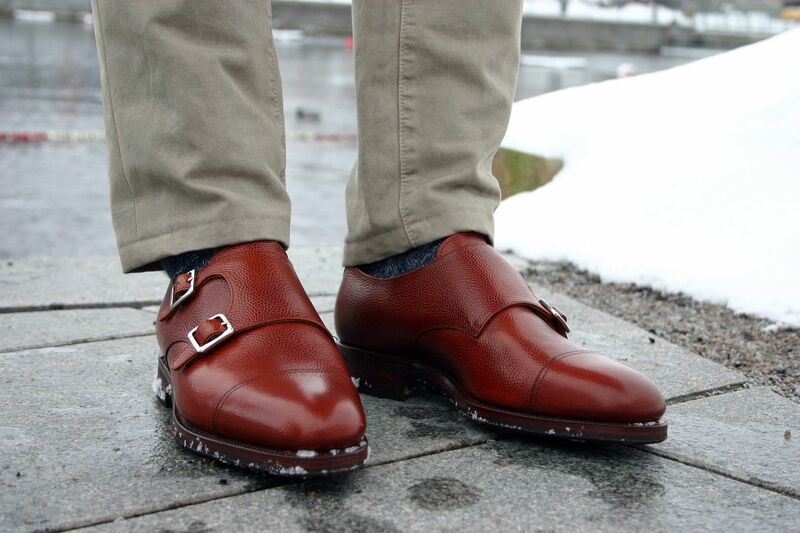 Also nothing bad to say about the double monks. I will write a more thorough text about them in a few days after wearing them a few times, so more on that later. They look damn good though. And lastly, a picture with what was on the other stuff. 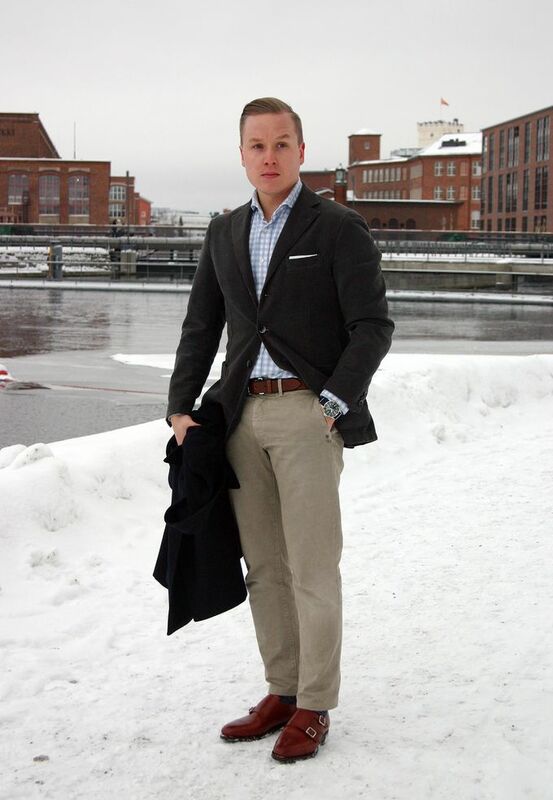 My SuitSupply peacoat, brown wool scarf and sort of chestnut leather gloves.